UPDATE: Have you checked our my new online school yet? 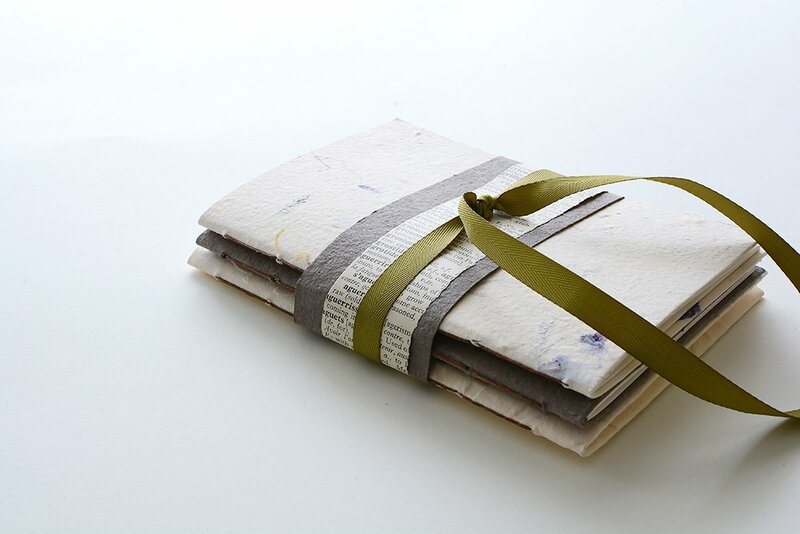 It’s called Handmade Book School – please visit soon! 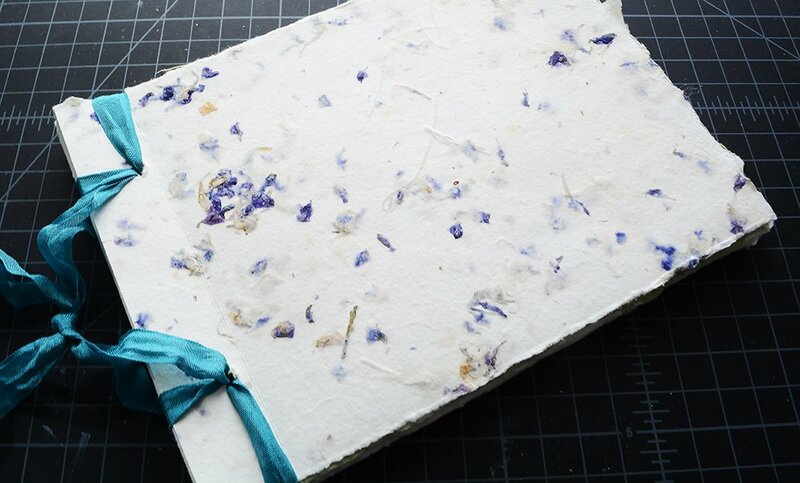 I’ve collected my handmade book tutorials into one easy-to-find place on my website. 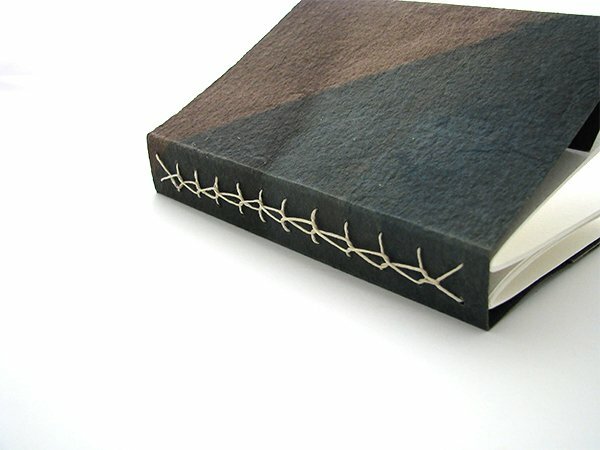 A simple stitched notebook with a ribbon tie. 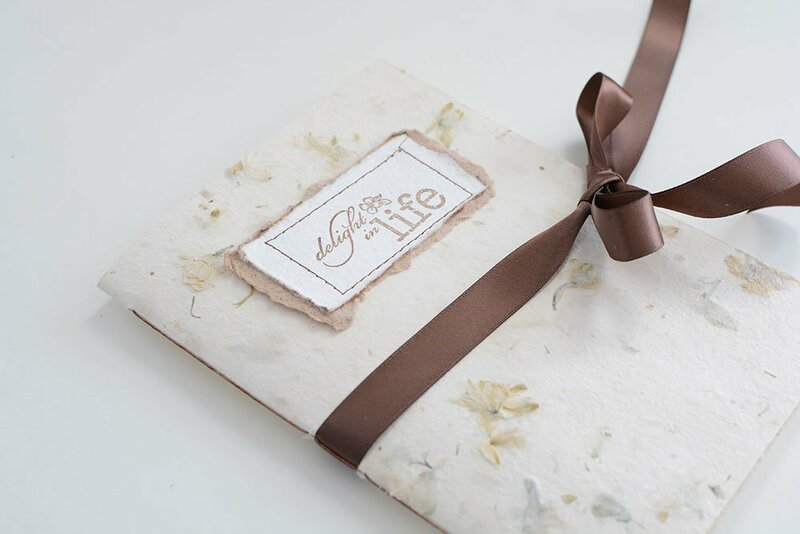 A simple journal that will expand as you fill it with photographs and other memorabilia that are meaningful to you. 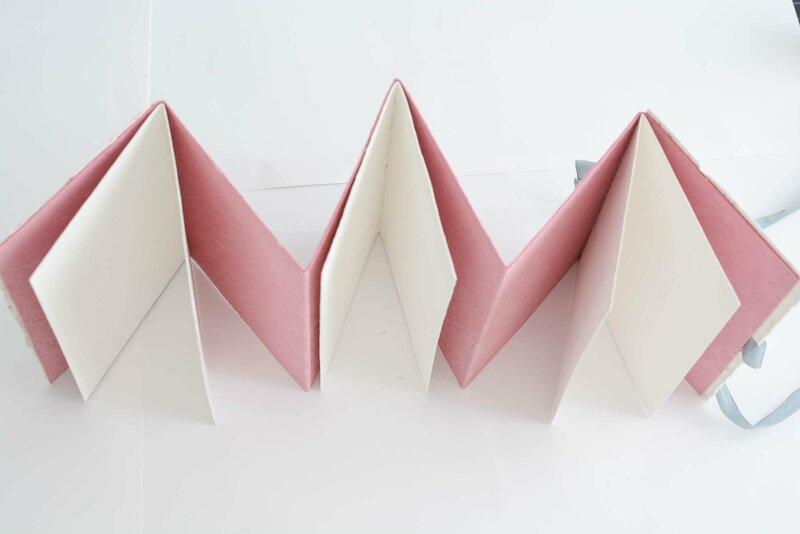 A simple but most elegant book form to display prints or photographs. 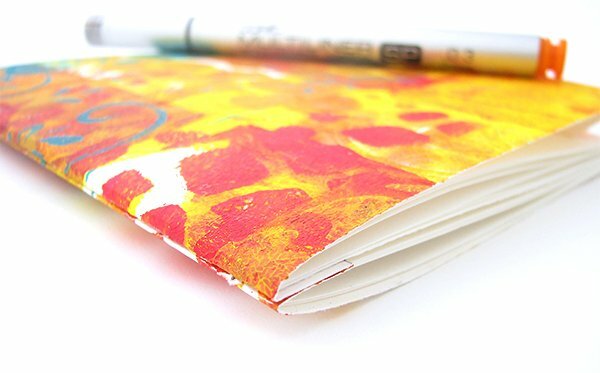 A set of three notebooks that would make a really nice gift, stocking stuffer or a favor at an event. 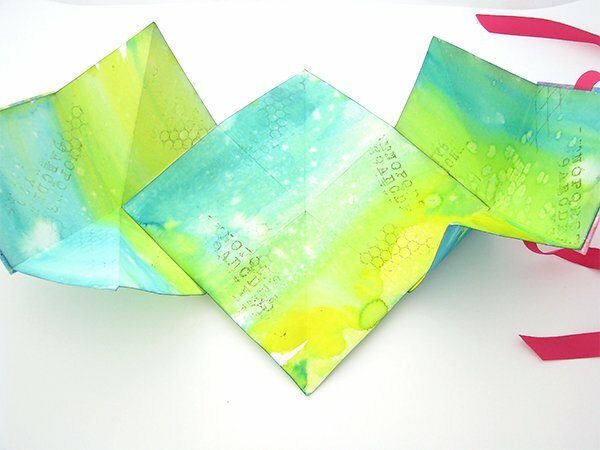 A fun variation on the pamphlet stitch notebooks in the previous tutorial using some fun gelli prints. 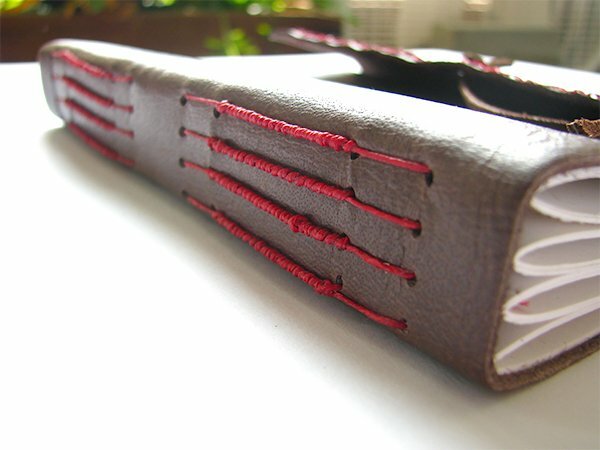 A traditional Japanese stab binding that requires only two holes and has a long thread holding the pages together. 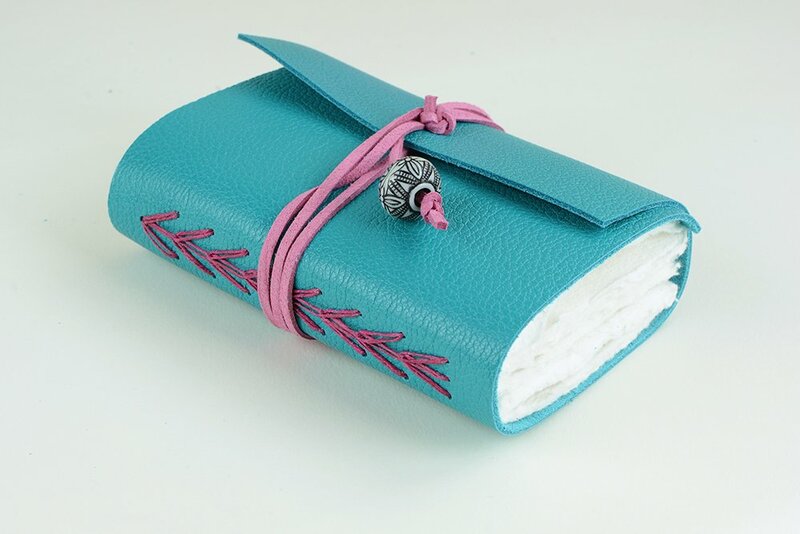 A 2-signature journal with a decorative Alpha stitch pattern. An intermediate long stitch journal project that includes a packing technique. I will keep this page as up to date as I can, but the best way to stay on top of my creations is to subscribe to my newsletter below.